Hi everyone! Today I’m showcasing a look catered towards mature features and including some broad tips. I am very excited and lucky to be using a (beautiful) model for the first time. My usual disclaimer applies: These are only suggestions. Of course wear whatever makeup makes you happy. 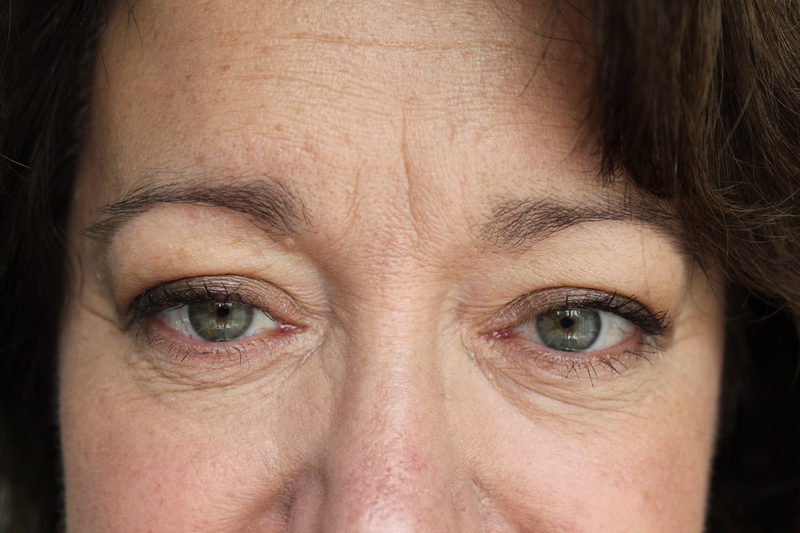 The focal point of the eye makeup should occur around the lashline, rather than the crease, which is often obscured by excess skin. For the same reason, look straight ahead into the mirror and relax your face whilst applying eye makeup, to give you the best idea of what it will look like during the day. 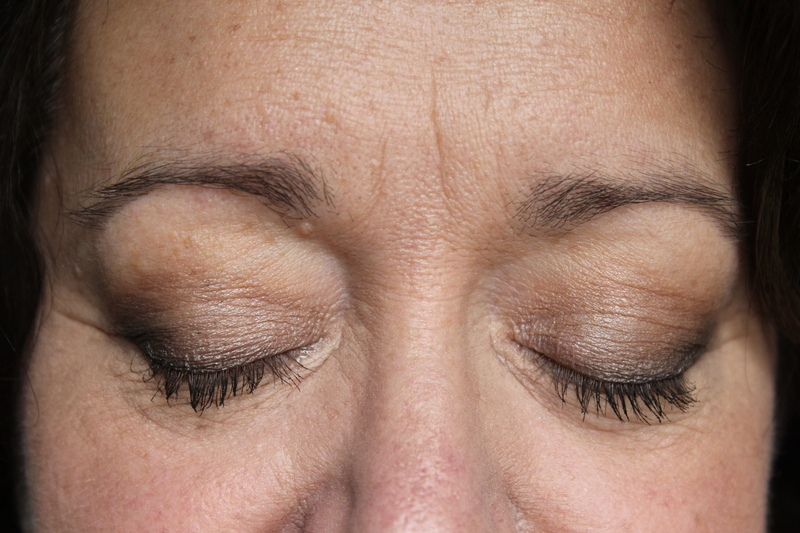 Avoid glittery eyeshadows, which are not flattering on mature eyelids. Instead explore shimmers, which reflect light subtly, illuminating the face and making the eyes appear more open. 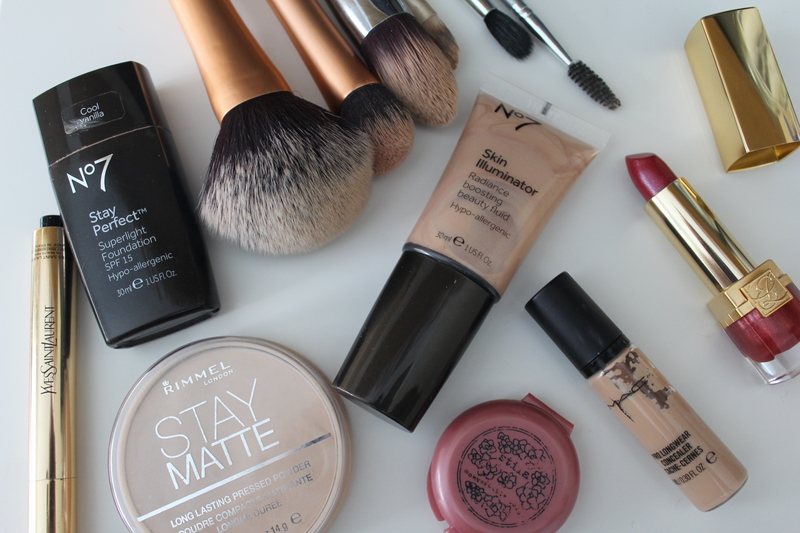 For the skin, keep your base as light as possible and instead focus on highlighter and blusher. The aim is to complement your skin with a healthy glow, not completely cover up the ageing process. If you are an amateur doing makeup on a mature friend or relative, ask them to bring their own makeup along, since they are likely to have already found products which work best for them. I started with MAC Paint Pot in Painterly over the eyelids to cover any discolouration and help the makeup last longer. Using a RT shader brush I packed a shimmery light gold (limited edition Poetry by Stila) onto the mobile lid. I then defined the crease using Urban Decay Naked on a Crown C200 brush. I blended this further up than I would on myself such that it would be visible when my model opened her eyes. I smudged MAC Engraved pencil along the lash line, and smoked it out using a Urban Decay’s Hustle on a Crown pencil brush, then deciding to blend it further onto the lid and into the outer corner. I finished the eyes off by applying a generous coat of my model’s mascara, Lancôme Hypnôse. I started by applying GOSH Velvet Touch primer onto any areas with large pores to create a smooth base. Over the top I buffed my model’s No7 Stay Perfect Superlight foundation with a Sigma F86 tapered kabuki, concentrating on the redness around her nose and mouth. 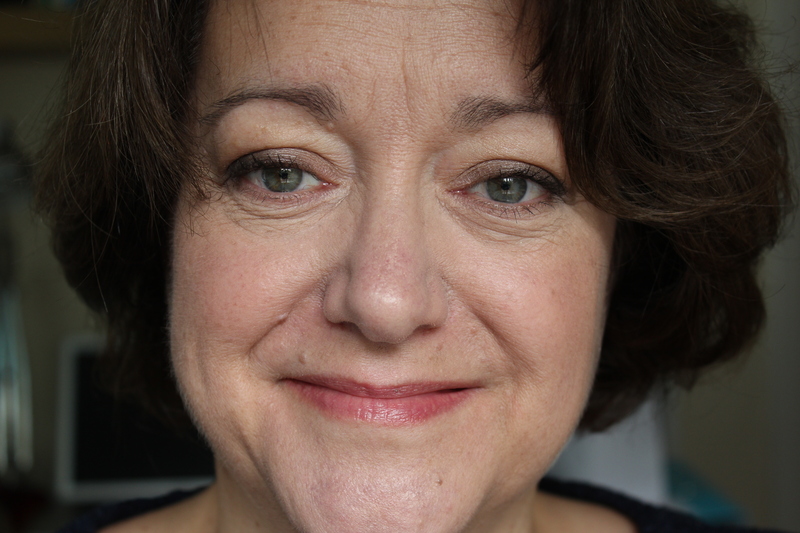 I then used a combination of MAC Pro Longwear concealer and YSL Touche Éclat under her eyes to reflect light and reduce the appearance of bags, applying them with a No7 concealer brush and blending with a Stila fluff. To return a healthy glow to the face after applying the base, I blended a Stila cream blush in Peony on the apples of my model’s cheeks with a RT expert face brush. Using clean fingers, I tapped No7 Skin Illuminator into the skin on the high points of my models face to emulate natural radiance. I powdered my model’s T-zone and under her eyes using Rimmel Stay Matte and a RT powder brush to prevent the makeup from shifting. My model never fills in her eyebrows. Brows make a huge difference to the face, and I didn’t want her to feel overdone, so I just combed them through using a spoolie. Finally, I applied Estée Lauder’s Pure Colour Crystal lipstick in Passion Fruit to my model’s lips to give them a naturally flushed finish. I very much hope you enjoyed the look and find the tips helpful in the future!